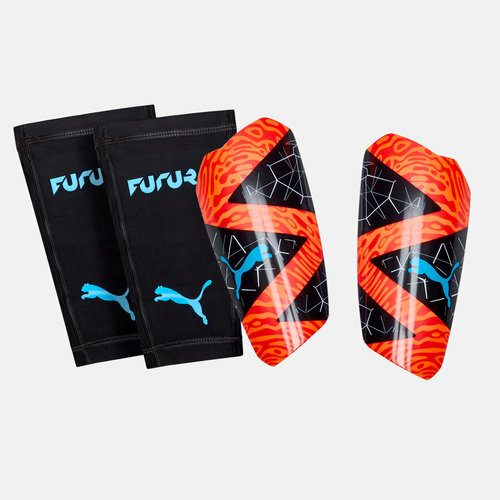 Protect yourself in style with these Puma Future 19.2 Slip In Shin guards in a Red Blast, Black and Bleu Azur colourway. These lightweight, dynamically shaped shinpads have been designed to protect against high-impact hits. The Future 19.2 shin guards are perfect for novice or professional players. 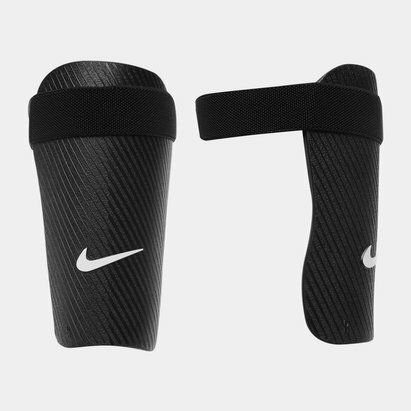 They come with an elasticated compression sleeve which has an internal pocket. The sleeve provides a secure and comfortable fit. They come as part of the Puma Power Up pack which is inspired by such moments in gaming, when the character, through skill or unlockable item, increases their performance or ability. PUMA want the same mindset to apply when taking your own game to the next level.